Over the years I’ve come to like the champagnes made by Gosset more and more. As Didier Gimonnet said to me on a recent visit to Cuis, producers should be judged on the quality of their whole range, not merely on one super-charged cuvée that they produce in minute quantities, as he suggested some commentators are apt to do. 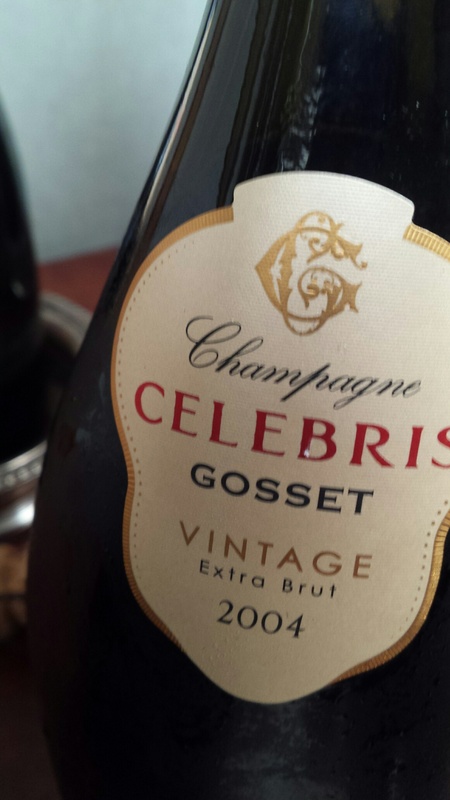 But as with the excellent Gimonnet wines, I’d be very happy drinking any Gosset champagnes, they are all good. often preferred the straight vintage release, Grand Millésime, usually made in what are deemed slightly lesser vintages, with 2006 the currently available release. 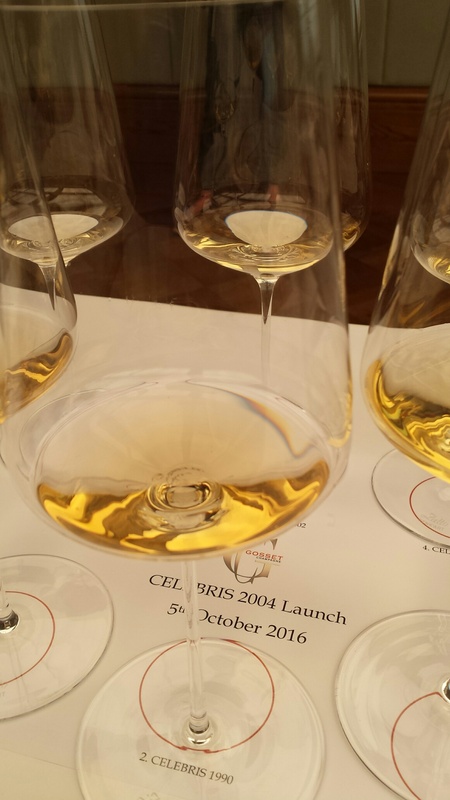 (I had always thought this was an ‘either or’ decision, with Celebris and Grand Millésime never both made in the same vintage, but apparently the two were each elaborated in 2004 for the first time, perhaps because that was an abundant and a fine vintage). Celebris is a wine that really needs extra time in bottle before it shines. So the chance to taste every vintage going back to the original 1988 release, was a good opportunity to reassess this cuvee, each release of which I tasted when they first came out. Especially as these were all original disgorgements with the further advantage of the complexity added by additional time on the cork. The tasting was led and introduced by head winemaker Odilon de Varine, who took over at the helm when Jean-Pierre Mareigner sadly died earlier in the year. 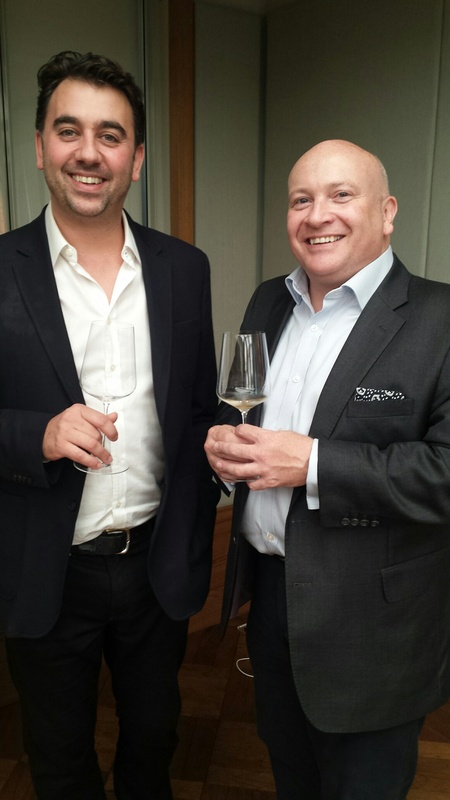 He was joined by restaurateur and top sommelier Xavier Rousset MS, who has recently opened his own restaurant Blandford-Comptoir (we plan to review at a later date). We started with new 2004 release, a 55% Chardonnay and 45% Pinot Noir blend, disgorged in June 2016 with a dosage of 4.5g/l. Just 20,029 bottles of it were made, de Varine reveals. The blend for this cuvée comes from a mix of premier and grand cru villages. Chardonnay from Vertus, Le Mesnil, Oger, Avize, Cramant, Chouilly and Villers-Marmery in the Montagne de Reims. Pinot Noir from Aÿ, Bouzy, Ambonnay, Louvois, Tauxieres and Verzy. (Gosset owns almost no vineyards of its own, though it does have some in Cuis, the grapes from which are used in the Blanc de Blancs and the Grande Rosé, de Varine says). I found the 2004 surprisingly open (for Celebris) and approachable, as this vintage seems to have been for many producers, with complex floral notes and a texturally rich palate with hints of orange marmalade and some tarte Tatin notes. The 2002, 52% Chardonnay to 48% Pinot Noir (disgorged December 2014 with 5g/l dosage), was less open, de Varine revealed he likes decanting it, while Rousset opined it needed another ten years or more. The large 67 Pall Mall tasting glasses helped show it in a good light and the following evening (in the same room, at the same venue) it was one of my top four wines in the 2002 prestige cuvée tasting (report to follow soon). In 1998 the Chardonnay content rose to its highest at 64% and the dosage was at the lowest level of 3.5g/l. It was originally to be released by Mareigner as a Brut style with 9-10g/l, but after nine to ten years on its lees they decided it didn’t need that level of sugar and reduced it to an Extra Brut. A big, powerful, concentrated wine with ripe confit fruit and a pronounced orange zest tang. In the blend for the 1995 Celebris, the Chardonnay quotient drops back to 55% and its dosage is up to 11g/l. This has, in the view of Rousset, gone further in its relative maturity than the ’98 and here the note of mandarin zest is amplified, while the lovely balance of the 1995 vintage – something rarely seen in the overhyped 1996 vintage that followed – leads into a long refreshing finish. Disgorged in January 1999, the 1990 stands alone in having more Pinot Noir – 54% — than Chardonnay. This was the third of three top vintages in Champagne, but few houses made all three. 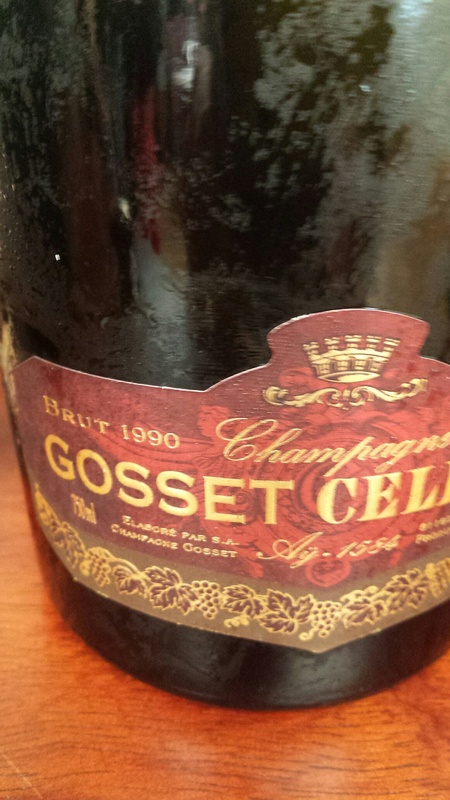 De Varine said Gosset didn’t make ’89 Celebris because it was too ripe a year and there was not enough malic acid. Ripe, complex with honeyed and spicy notes, this has more concentration and depth and was my highest scorer of the tasting. Fellow scribe Michael Edwards says I was seduced by the extra Pinot Noir, but I thought it had more to it than the ’95 many in the room admired. We ended with the 1988, a favourite vintage and one that has arguably given me the most pleasure over the past decade or so. With Chardonnay back in the majority of 63% and disgorged over two decades ago in June 1996, this still had great life and finished on a long sustained note of luscious richness. A fitting end to a fine tasting.